It has long been known that ATM Kinase played a role in repairing double stranded DNA breaks. A study from Nobel Laureate Carol Greider’s lab at Johns Hopkins by Stella Suyoung Lee published in November of 2015 showed that ATM Kinase also plays a role in telomere lengthening. 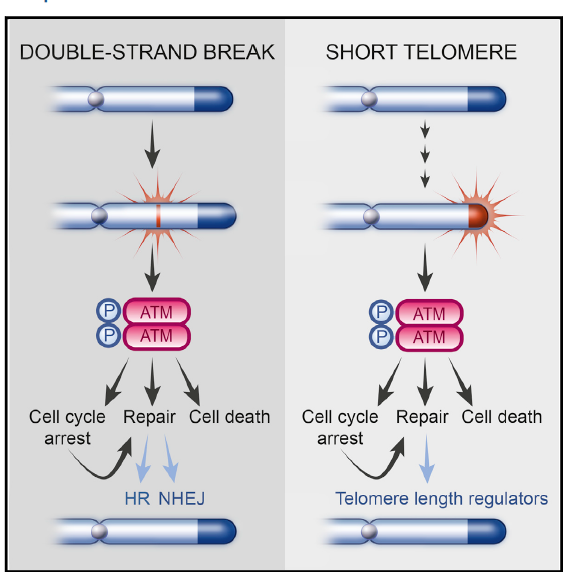 It would appear that ATM Kinase works in conjunction with p53 to try to reconnect non-homologous ends (which can be good if it truly is a break and bad if it is just critically short telomeres). But as this study shows, p53 gets a say in the matter, suppressing the marking of the histones (or DNA spools) for imminent re-connection. In other words, if p53 decides that it can and should lengthen a telomere instead of allowing ATM kinase to splice together, it will do so. If together, ATM kinase and p53 decide that the DNA is beyond repair, the cell will undergo apoptosis as orchestrated by p53. 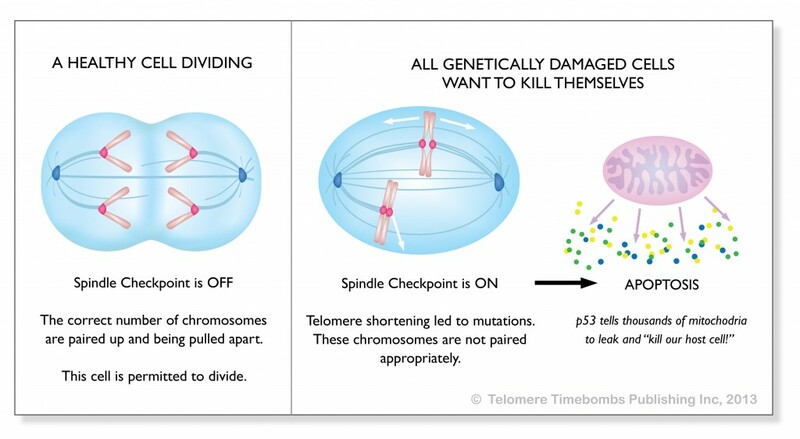 To understand more, check out this diagram from my book, Telomere Timebombs: Defusing the Terror of Aging. Perhaps it is this collaborative decision making that accounts for the apoptosis that I’ve noticed clinically when people take telomerase activators. p53 gets an opportunity to lengthen the telomeres just enough for some critical damage decision point to be triggered. I likened it to repairing a screw with a stripped head so that the machine can be dismantled. 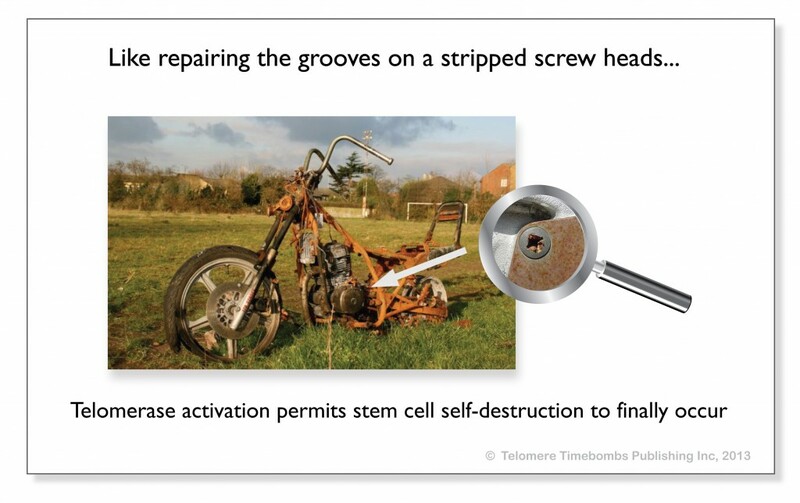 The clinical observation of reversal of metabolic syndrome, repair of old ligaments, and replacement of grey with pigmented hairs might be explained by the interaction between ATM Kinase, p53, and telomerase in making the damaged end recognizable as a critical error which mandates cell suicide.